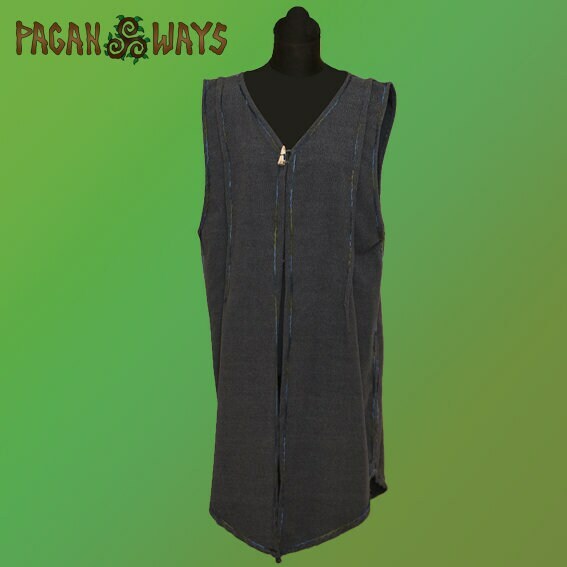 Handmade and unique sleeveless pagan fantasy tunic made by Pagan Ways. 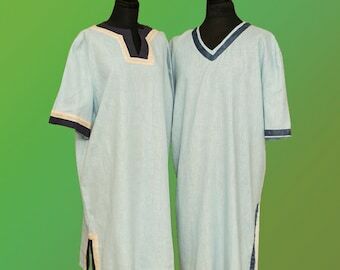 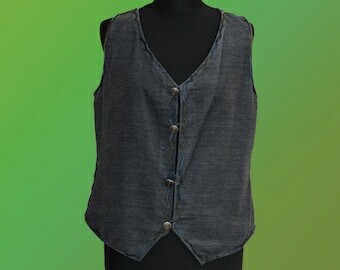 It is of medium length, and is made of raw cotton. 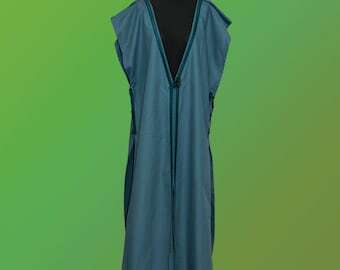 The greyish tunic has a beautifully hand-embroidered blue-green ribbon as a finishing touch. 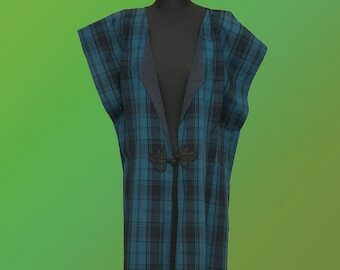 Pagan Medieval Renaissance skirt with matching cape - unique, so only one available!